The Australian Dental Association NSW Branch is offering pro bono oral health assessments and dental treatment at its clinic at St Leonards, in Sydney’s north, for children and their families who have been held in detention on Nauru. ADA NSW made the offer following the news that asylum seeker children are being removed from detention on Nauru, and that all remaining children will be relocated to Australia by the end of the year. For the past 10 years, ADA NSW volunteer dentists have been providing pro bono dental treatment to asylum seekers. In recent months, they have treated three asylum seekers from Nauru. In 2008, ADA NSW established a partnership with the Australian Red Cross to provide much-needed dental services for asylum seekers who have applied to the Department of Immigration for refugee status. Addressing the mental health needs of children and adults who have been held on Nauru is clearly a priority. However, as reported by Human Rights Watch, dental services on Nauru have largely been limited to tooth extraction. “Asylum seekers can have significant and complex healthcare needs,” ADA NSW president Dr Neil Peppitt said. “Many find it difficult to access mainstream health services, including oral health care, due to a lack of familiarity with the system and how to navigate it as well as language and cultural barriers. “While some may be able to access public dental treatment, often their dental health problems become acute while waiting,” Dr Peppitt added. 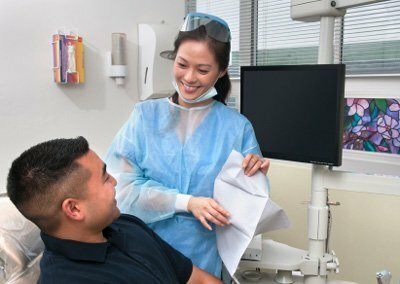 Thanks to the compassion and commitment of ADA NSW’s volunteer dentists, almost 1000 asylum seekers have been provided with dental treatment worth $500,000—including dentures, root canal fillings and complex restorative care.